In a busy marketplace loaded with a huge diversity of competitive products, the destination management companies (DMCs) must differentiate themselves by streamlining their travel related operations online. The DMCs must keep pace with the competition from OTA websites which become more and more resourceful for the modern tech savvy travelers which have the ability to research and plan their own vacations and take the power of OTAs everywhere they go on portable devices. The DMCs need to start using own travel products together with dynamic inventories of various external suppliers and sell online the resulting travel products either to their own customers (B2B or B2C) or via XML to 3d party companies. Our powerful DMC software module allows DMCs to build complex travel products with dynamic inventory availability and price accuracy. They are able to upload own contracted rates (online and offline) into the system or get them from channel managers via push or pull mechanisms. The DMCs can install as many channel managers they want as part of their platforms. The DMCs can sell their travel products and apply business and pricing rules in order to control their promotions and content distribution. 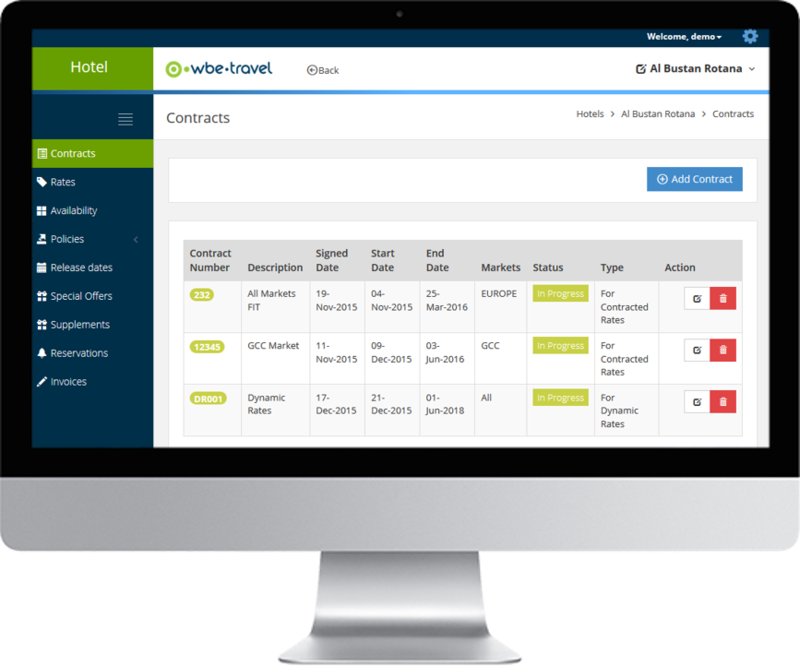 Connect through XML with travel wholesalers and GDSs for dynamic content of hotels, flights, transfers, tours, car rentals, etc.